Hydraulic lift carts with casters. Aluminum pump and steel body offers increased durability and lighter weight. 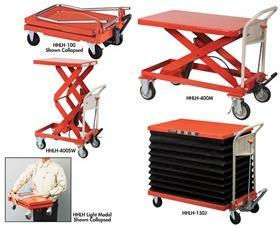 HHLH-100 and HHLH Light models come with collapsible handle. 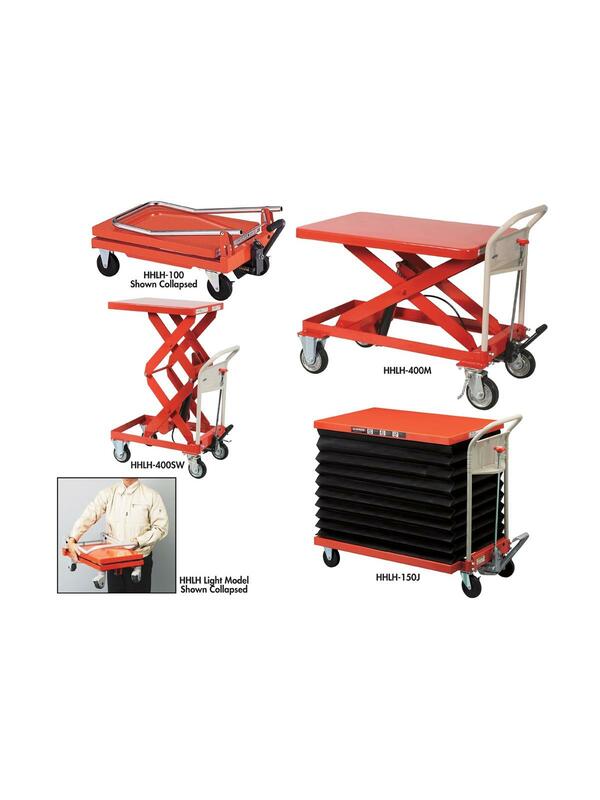 All carts have overloading prevention, oversized casters and foot pedal height adjustment. Springback release handle in all models assures safety by preventing unintended lowering. Powder coated finish on all models. Up to 2,205 lb. lift capacity and 64.1" extended height. FOB Shipping Point.